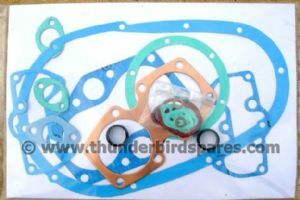 This is a full gasket set, including the pushrod tube seals & copper & fibre washers , to fit all unit construction 500cc Triumphs up to 1963 (ie all models with a distributor). 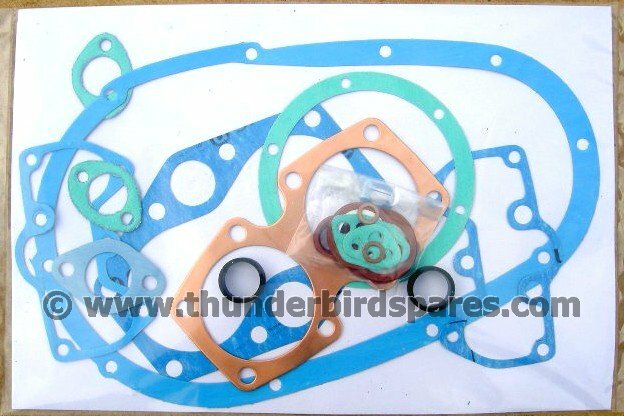 It includes the chaincase gasket and a copper head gasket. It is a top quality British made set. We also sell oil seal kits for these engines if you are doing a rebuild .